Hari Raya Nyepi will fall on 9 March 2016 this year, where for 24 hours long the island shuts down. No flights in or out of the island, no ferries operating, no cars or motorcycles passing, not even people walking on the street. Nyepi gives off quite an eerie feeling at first, to imagine there's no way to leave the island for almost two days long. 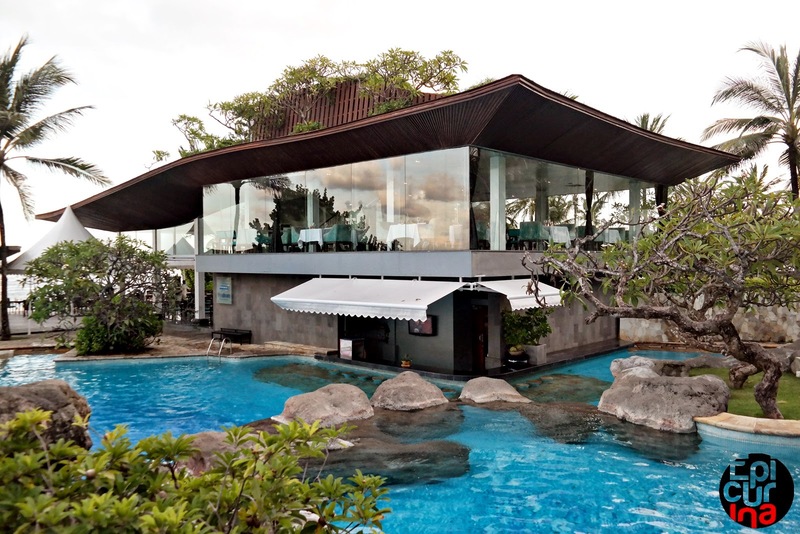 Despite the fact that we rarely travels outside Bali, or often in needs of quick getaway from the island. It's a sort of claustrophobia, but after several Nyepi spent in Bali we can (almost) outgrow the worries. 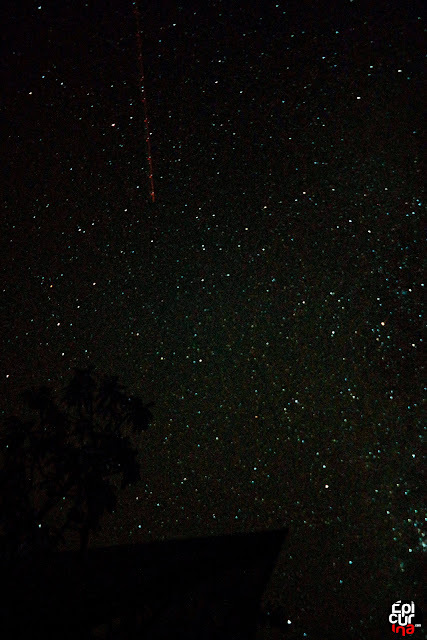 During Nyepi there's a very worthy trade off to get though, that can hardly recreated anywhere else on the planet: the silence and time-stopping experience. 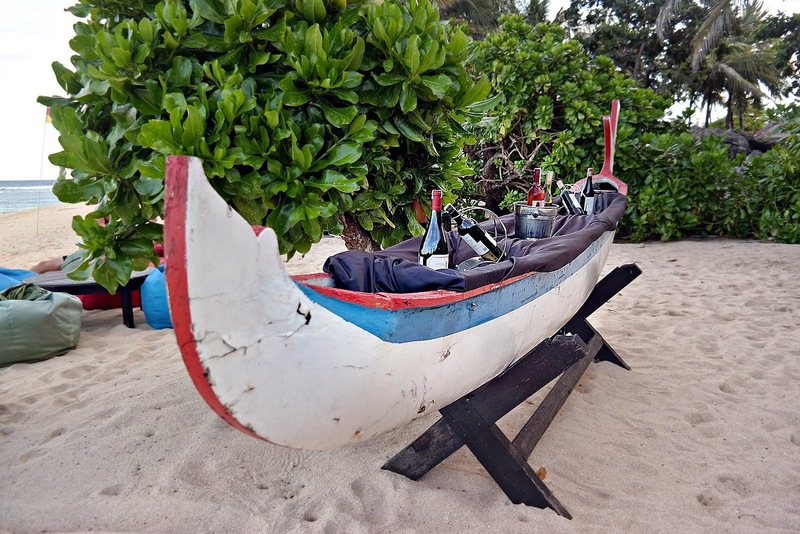 As during Hari Nyepi the Balinese are prohibited from lighting fires, working, having entertainment or pleasure, anything that might interfere with the purpose of self-reflection is prohibited, hence the island's shutting down. 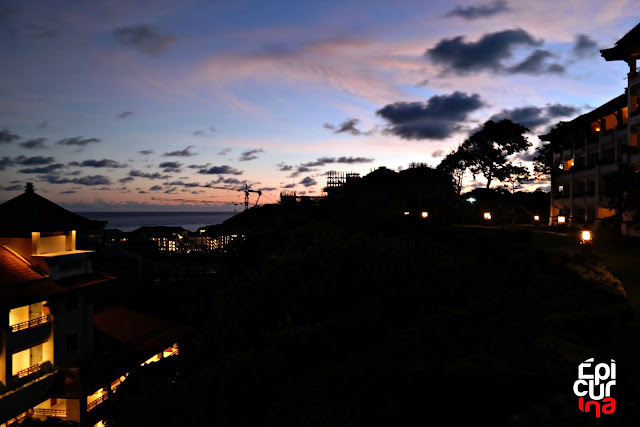 Only some critical facilities like hospitals, and tourism businesses like hotels are excluded from the prohibition, however the activities must also adjusted in a way that it wouldn't interfere the practice of Nyepi for general Balinese population. As hotels are excluded from the stricter Nyepi restrictions, hotel guests can still do their daily activities within the enclosed hotel area. 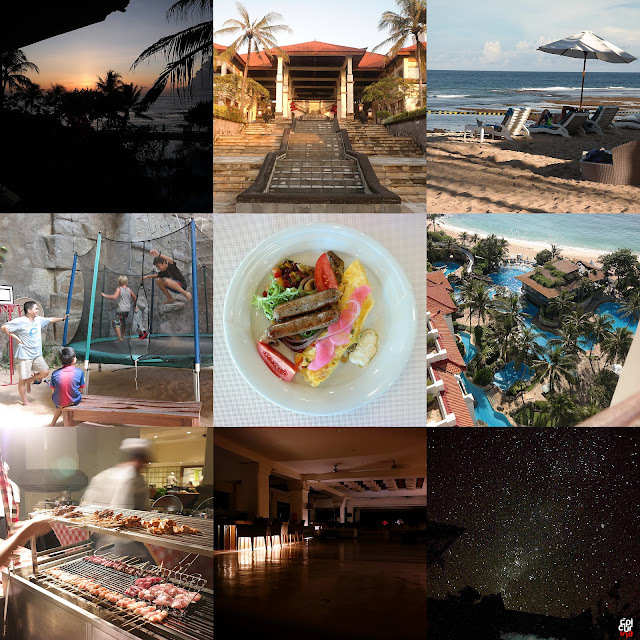 That's why during Nyepi Day, hotels are also populated by tourists from outside Bali looking to experience the silent moments. 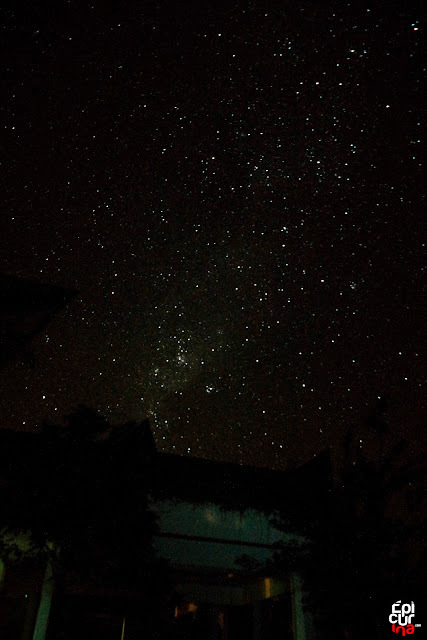 If you've been lured by the idea of Earth Hour, then you will love Nyepi as it's a day-long act of preservation that Balinese has practiced for hundreds of years preceding the modern day's Earth Hour. This special exclusion has also made hotels to act as temporary home for non Balinese residents choosing to stay in Bali during the Day of Silence, which is usually the case for families with little kids, like we did last year. 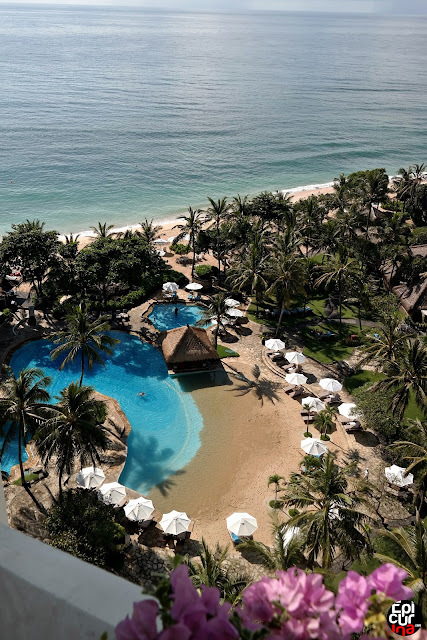 Set in the cliffs of Sawangan Beach Nusa Dua, Grand Nikko offers the luxury of a five star resorts, with amazing view of the beach, and series of swimming pools guaranteed to make the whole family excited. The resort's huge area and assorted facilities also ensuring that we have plenty of areas to explore during our stay. 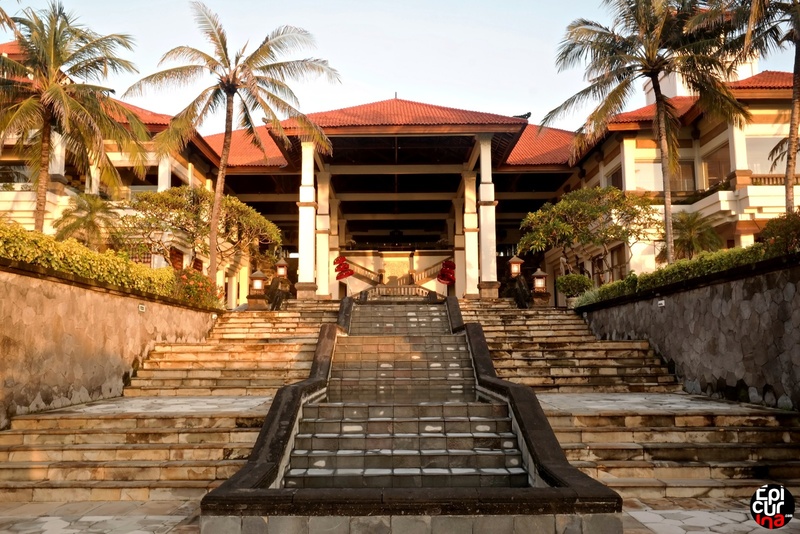 Located about one hour away from the street, the resort usually offers a serene atmosphere, and we're curious to find out how it will feels like during the Nyepi Day. 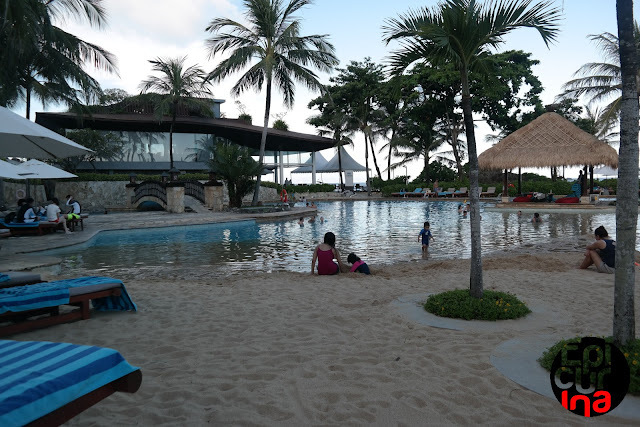 We came quite late in the afternoon to the resort, due to little things that interfere with our intention of checking in earlier. (i.e. : office work). Luckily we're able to reach the hotel before the Ogoh-ogoh parade started. Otherwise we'd be reaching the hotel late at night as streets are usually closed and traffic rerouted during the Ogoh-ogoh parade. What we didn't really anticipate is the stream of guests checking in! It seems like all of the hotel guests are checking in at the same time with us, hence queue was long and tiring. 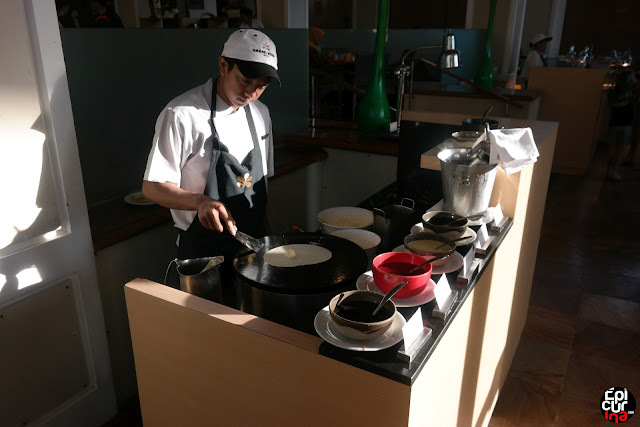 The hotel management carefully explained the situation that on top of the check in rush, they're running the show with just half of their regular workforce, as most of the hotel staff are off for their religious practice related with Hari Nyepi. Thankfully the sofas in the lobby are comfy, and there's a stream of welcome drinks coming in. After waiting for some while we finally have our room ready, and heads down to our hotel wing facing the beautiful sunrise beach down below. Our little kid was so excited to find there's bags full of goodies awaiting for him in the room. 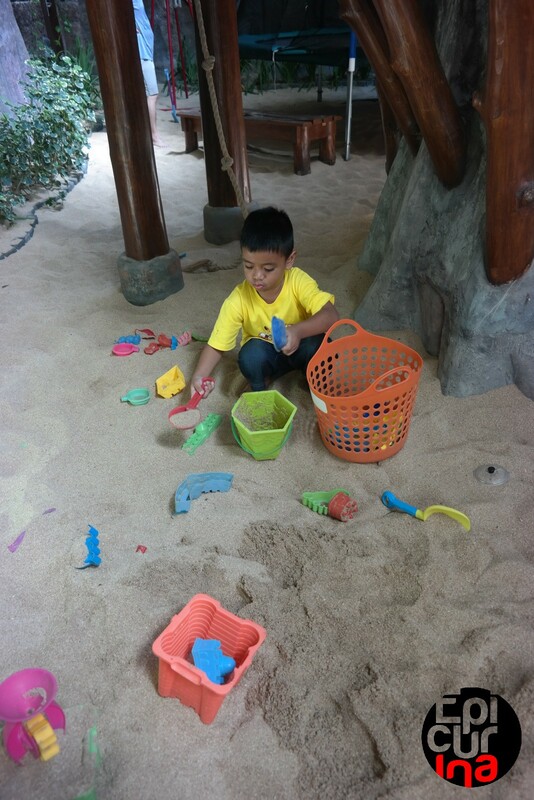 He immediately open it and found some toys and t-shirt. To our amazement we also find a set of Play Station console, with choices of games to be played together between father and son. 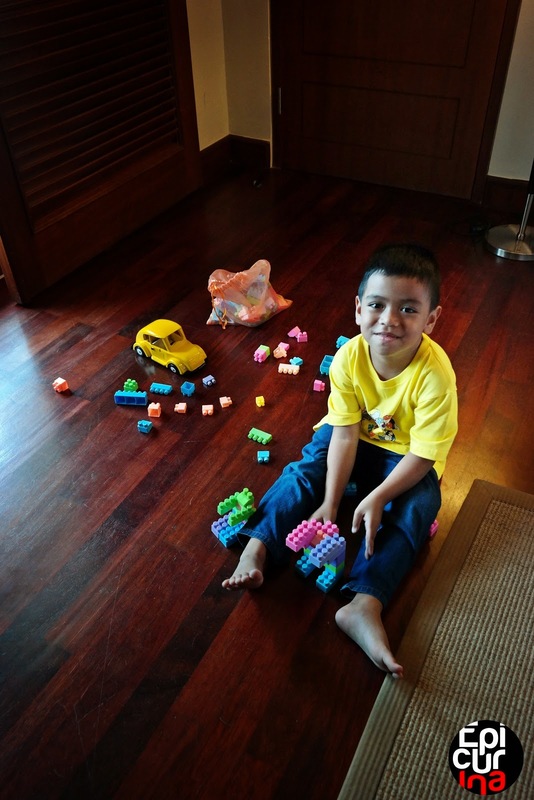 The room itself was huge, with large space near the balcony window, fit perfectly for our kid with his new toys. There's also a kid's bed at the other side of the room, so we can have our couple's good night sleep without the usual interference. 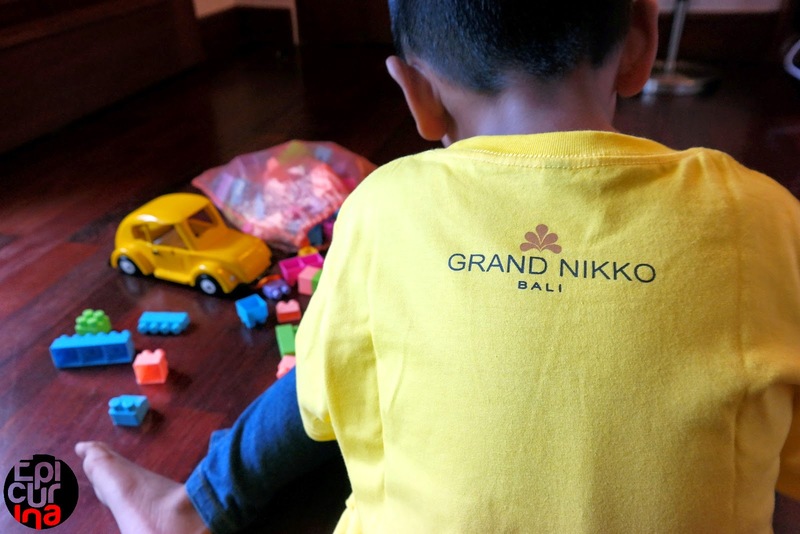 After settling down, I eagerly heads down to the beach to see what sort of facilities Grand Nikko Bali have. The hotel management informed us earlier that there will be Ogoh-ogoh parade coming to the hotel in the late afternoon, so I'm planning to do a quick walk around before heading up to the Lobby. 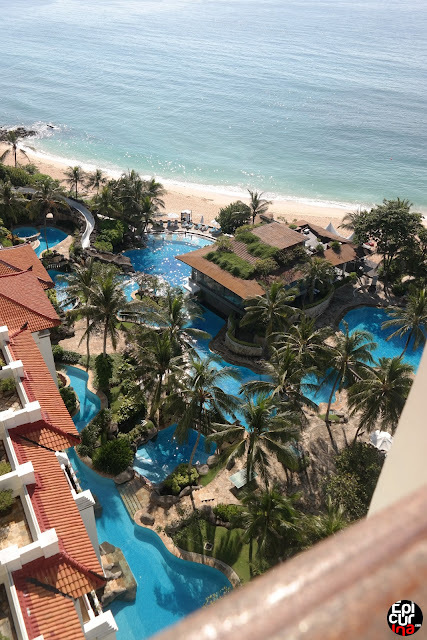 Yes the lobby in Grand Nikko Bali is up there, 15 levels high, as it resides on top of the cliff, while virtually all of the hotels room lies down below. 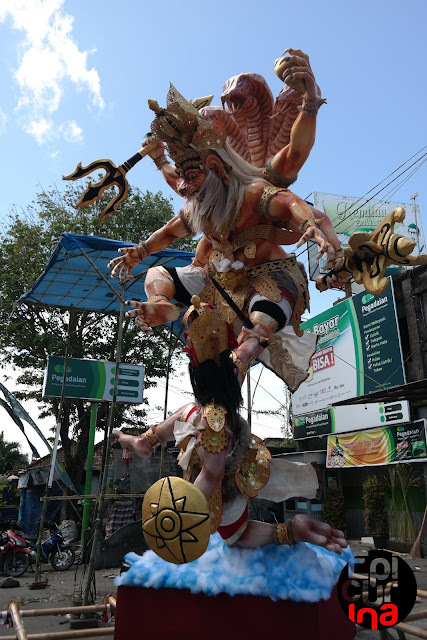 The Ogoh-ogoh parade was coming about nightfall, and despite its rather small size compared with the ones paraded in the city, it's one entertaining show nonetheless. The hotel guests lined up the entrance and watching in awe as the parade proceeds, it was organized by the nearby village where some of the hotel staff resided. 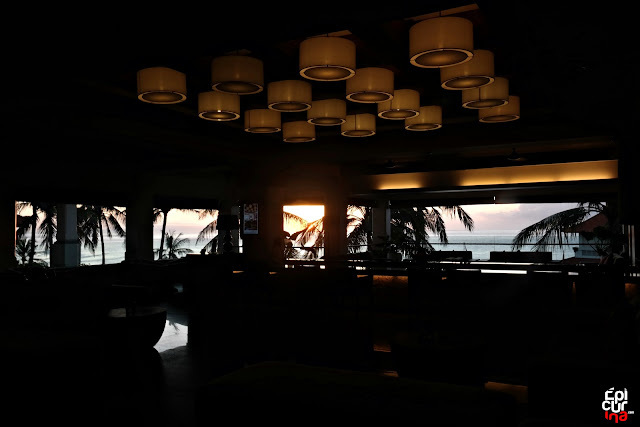 After the mesmerizing sight of coordinated performance and light show, I walked around the hotel a bit and managed to catch the receding sun, that marked the end of Caka 1936. 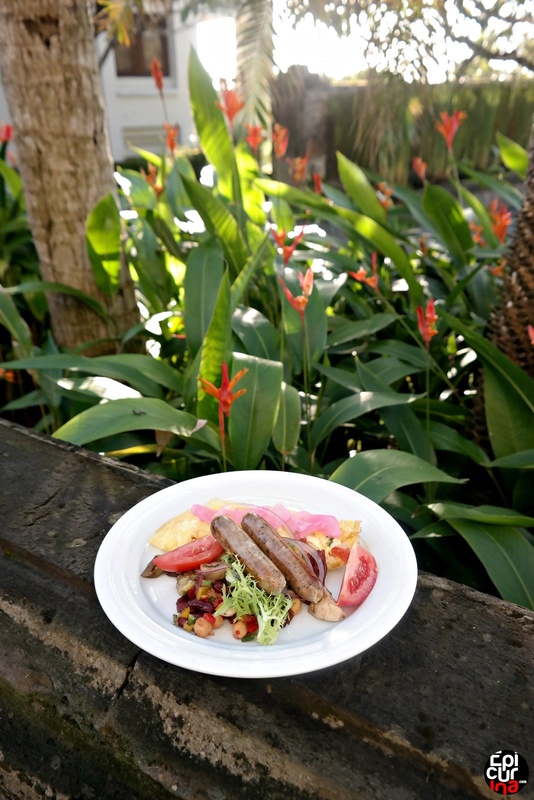 We gratefully welcome the new year's sun and prepare for breakfast. Boy we're hungry! Heading up to the restaurant, we found out that most part of the hotel are blacked out, in compliance with the Nyepi Day restrictions. The Day of Silence has started in Bali. Breakfast was good and all of the family members get what they're looking for: sausage, cold cuts and salad for me, granola and bread for the wife, and... my kid as usual headed straight to the pancake station! With the exception that hotel's guest have within the hotel, we then headed down to the beach to check things out, and find out what's the difference. 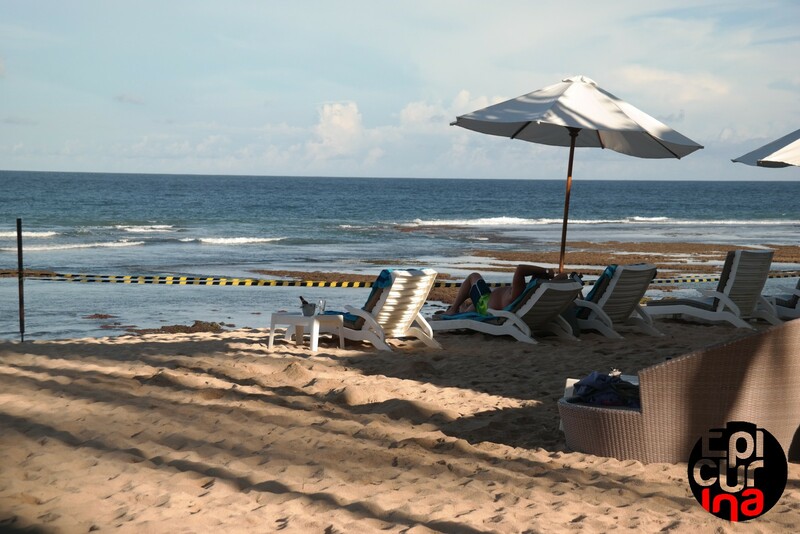 Beside of the less activity, we also found out that the access to the public part of the beach are now closed, and marked with a striking black and yellow tape. Behind the line, the hotel guests are still free to use the beach though it wasn't as highly occupied as the day before. Heading up to the Kid's Club, Grand Nikko Bali offers a playful outdoor setting which includes a trampoline, and kids can also engaged in less physical activities like coloring, or playing video games indoor. 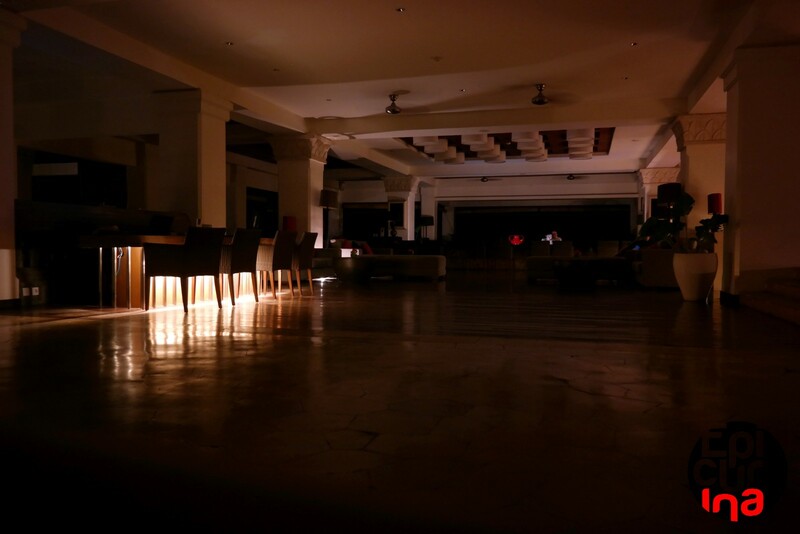 The hotel lobby looks quite dark at night. Downstairs however, there's more than enough light for us to dine comfortably. 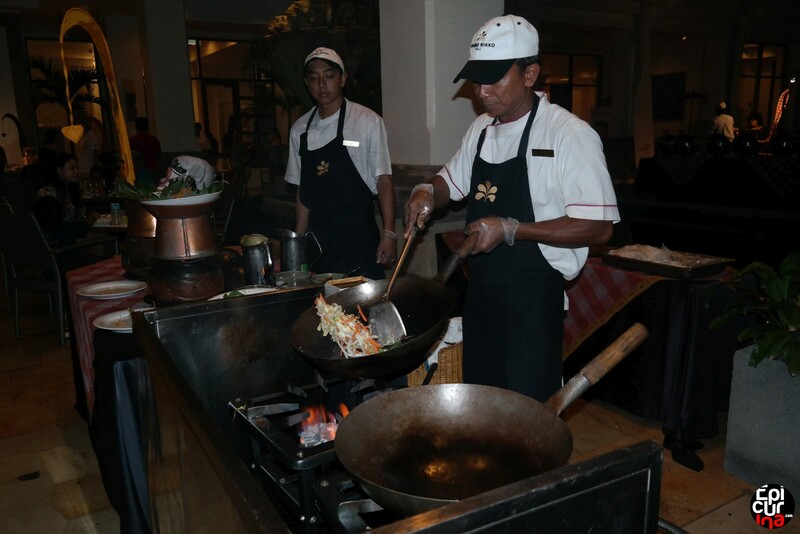 Different with our previous experience of spending Nyepi Day in hotel, Grand Nikko Bali's quite isolated location makes it possible for them to offer dining service to the hotel guests in almost normal way. 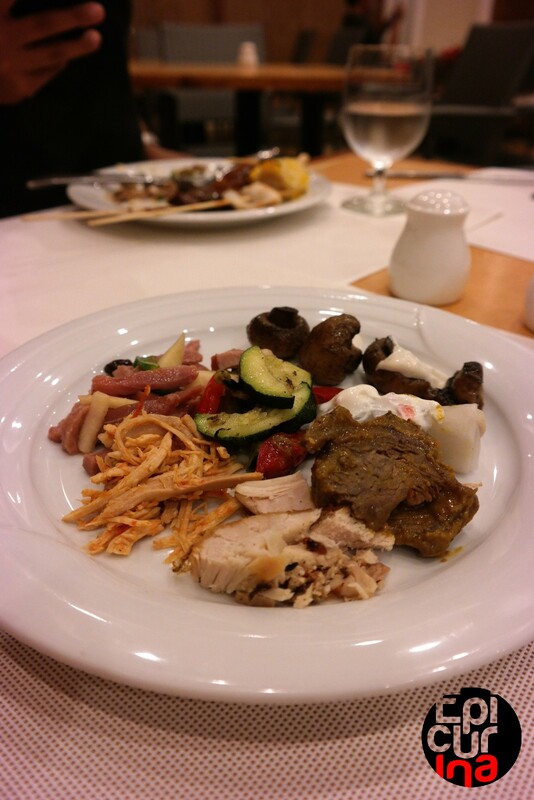 The major difference would be, it's not like dinner on the other days as it was as full and as hectic as the breakfast hour, where all of the hotel guests are having dinner in the hotel due to the island's shutting down. Luckily Grand Nikko Bali has a lot of space to use, so despite the rush, all of the hotel guests are properly catered during the dinner service. 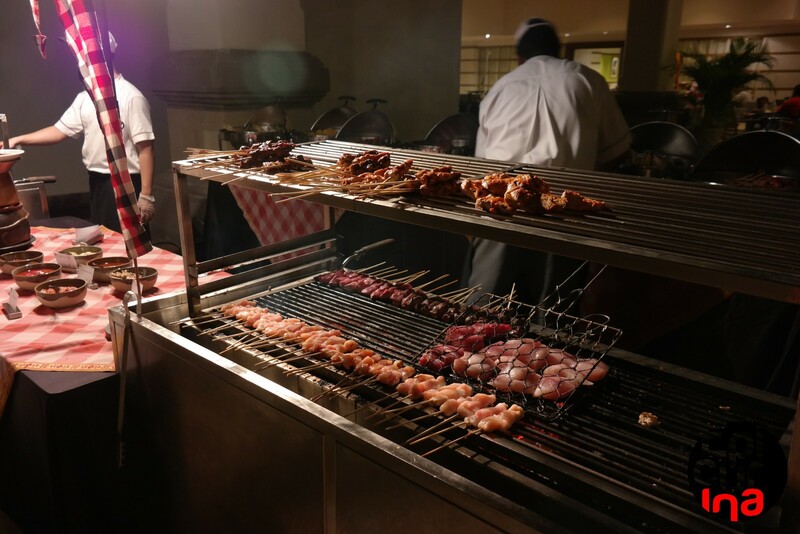 As with the type of food, our dinner offers a more lavish options of grilled meats and live-cooking station. While most of the dish we tried taste satisfying, I found myself making several trips to their grilling station, What can I say? I'm a carnivore! As the guests leaving the dinner and heading back to their own rooms, those who headed back to their villa next to the hotel compound get a wonderful surprise, a sky full of stars! 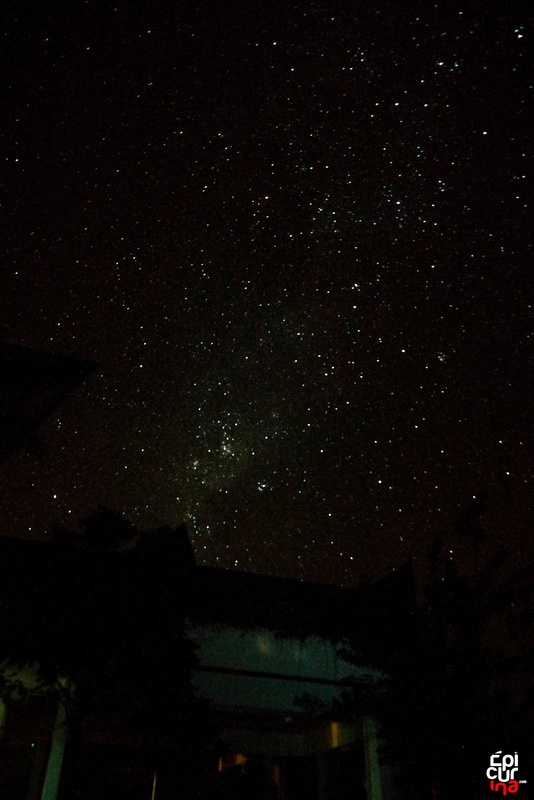 With the virtually zero ground light pollution, the sky above Bali during Nyepi night is very beautiful. 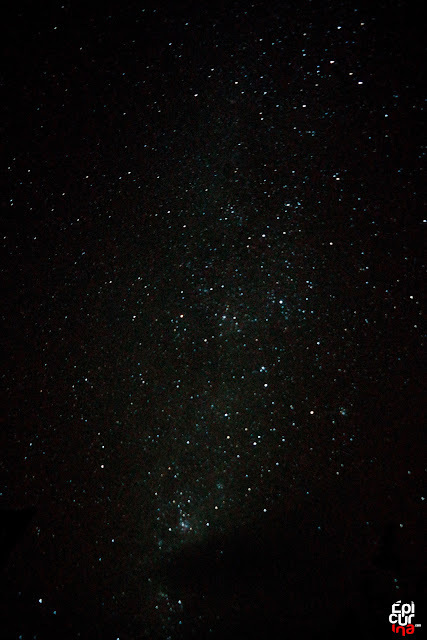 While it’s quite an eerie sighting at first, to see the hotel's surrounding in total darkness, but once your eyes are getting used to the almost total darkness, the view was stunning. 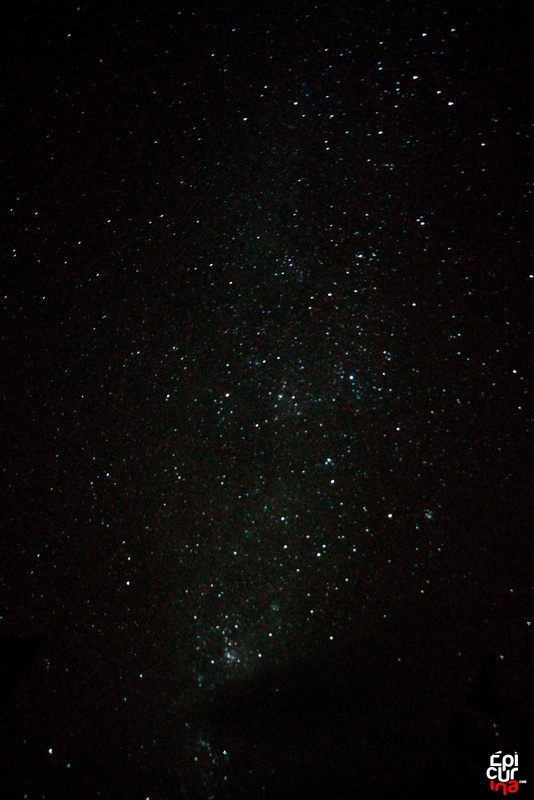 Millions of stars are coming into sight, and we can even watch The Milky Way, our galaxy’s cluster of stars with your naked eyes, and enjoy the millions of colorful light play rarely seen on any other nights, a heaven for stargazers. 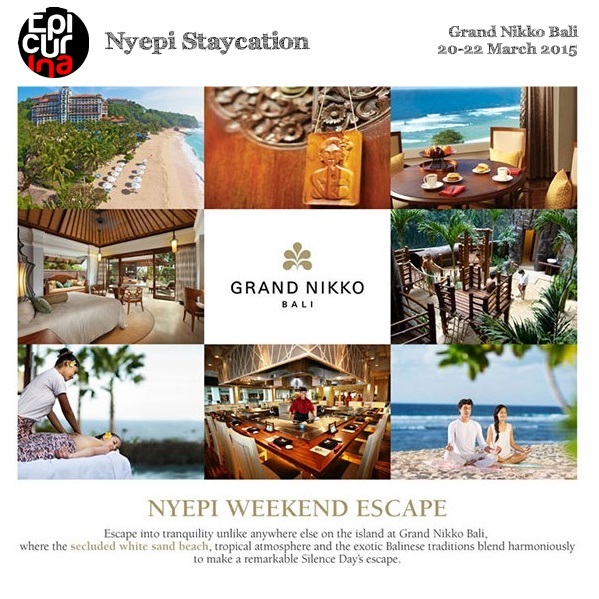 Interested to experience Nyepi Day of Silence in Grand Nikko Bali yourself? Click on this link to get information of the Nyepi Day promotion.